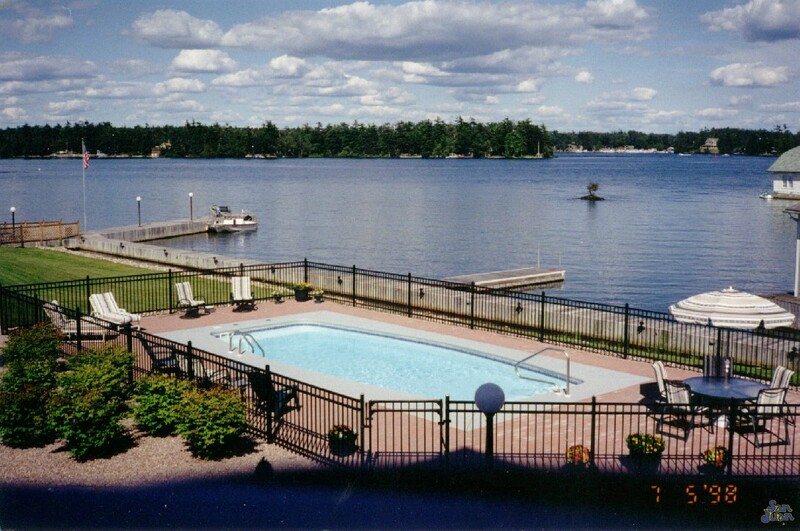 The Majestic is a serene body of water with a conservative pool shape. Representative of a blend between an oval and a rectangle, the Majestic is a modern design with a modest deep end. 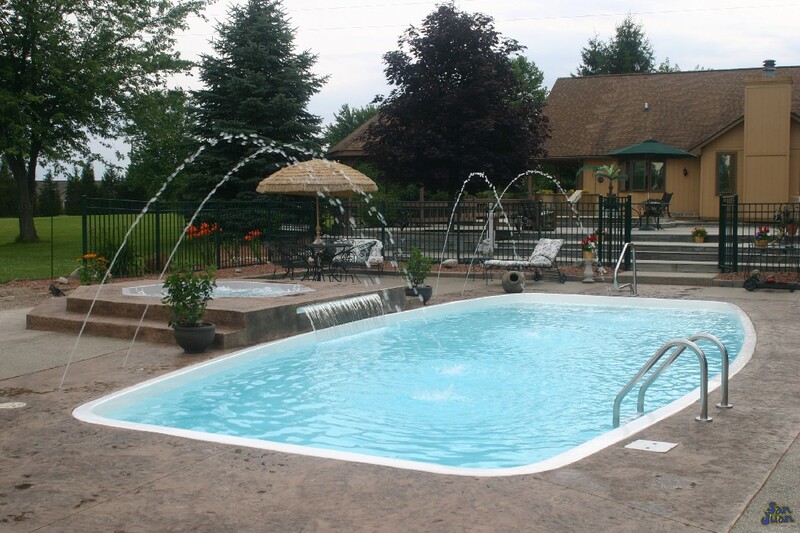 It’s overall depth of 5′ 5″ makes this swimming pool very safe and friendly to entry level swimmers. The Majestic is a modern pool design that San Juan Pools created many years ago. 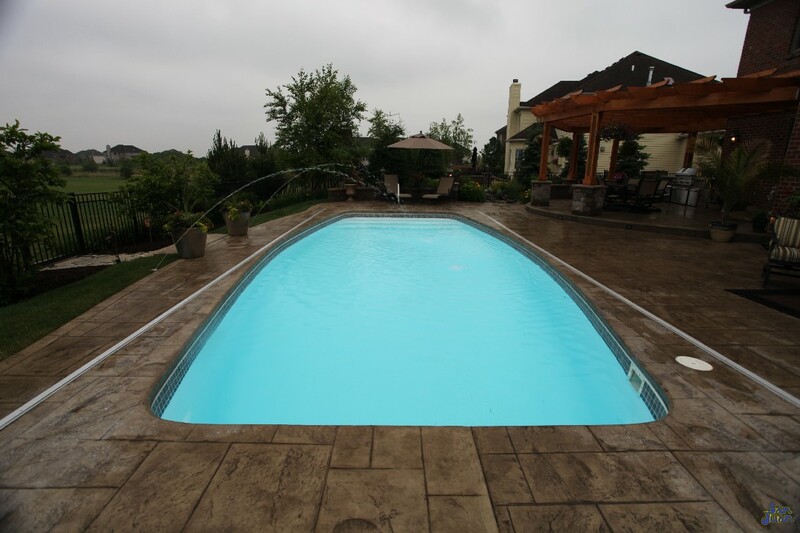 This modern pool shape has been a part of our inventory and remained due to its popular selling features. 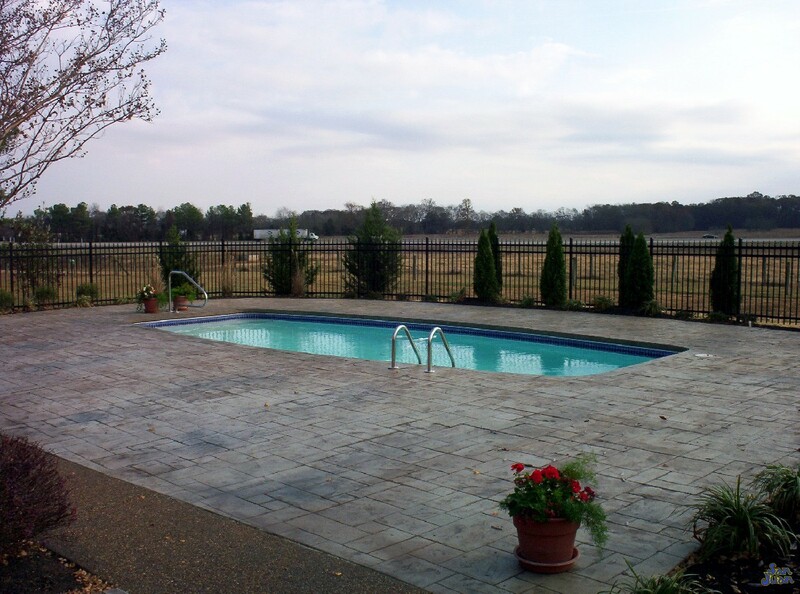 We begin by blending the standard layout of a rectangular pool with an oval pool shape. This allows us to provide you with a wider swim space in the middle of the Majestic. Pair this modern layout with its conservative 5′ 5″ deep end and you’ve got a pool that is fun and safe for all. If you have a home with entry-level to intermediate swimmers, then the Majestic would be a great option for you! The Majestic fits handsomely in nearly any backyard with its overall layout of 431 SQFT. Although this is a medium sized fiberglass swimming pool, you’re still purchasing a large basin for your swimmers. The Majestic holds up to 13,500 gallons and that’s certainly a lot of volume that gives you plenty of room to spread out and enjoy the great outdoors together! The shallow end is a very modern aspect of the Majestic. We included a wide set of entry steps that spans the entire width of the fiberglass swimming pool. Pair this section with a single or dual set of handrails for a safe and attractive entry point. Secondly, this shallow end section creates a great sitting area for guests to mingle. 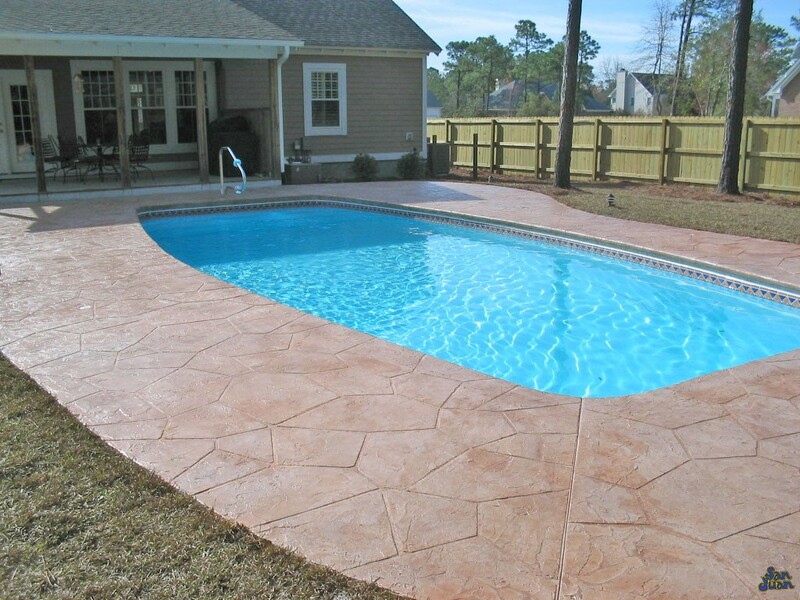 You’ll be able to relax and converse while cooling off this this attractive fiberglass pool! Stretching out into the Majestic, you’re greeted by a wide deep end bench, located on the opposite wall. This deep end bench is terrific for those parents that want to engage in some at-home swim lessons for the kids. It’s also a great zone for resting between deep end swim sessions! In addition to the modest 5′ 5″ deep end, the Majestic is a terrific fiberglass pool for raft floating and water games. We suggest adding a deck mounted basketball set or patio furniture to complete the outdoor living space! In conclusion, the Majestic is a very well rounded fiberglass swimming pool. 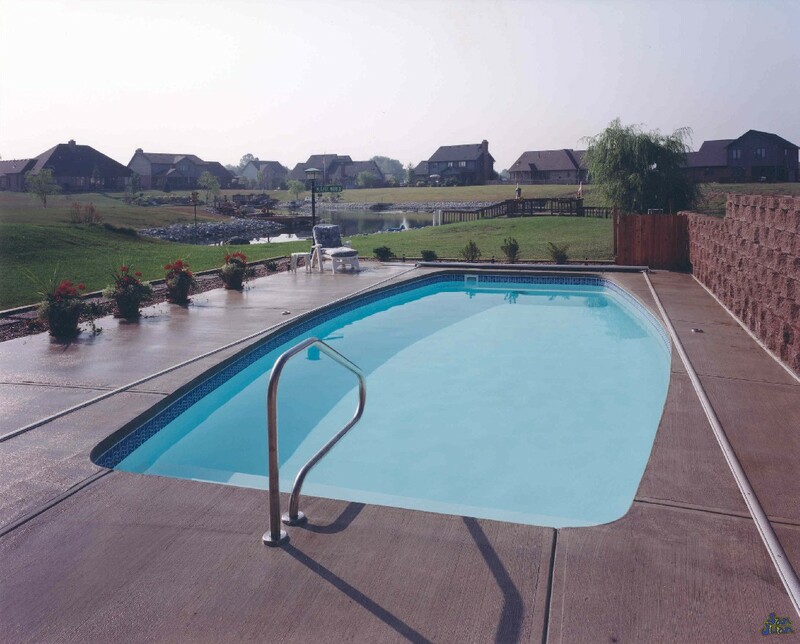 This medium sized fiberglass pool includes an overall size of 431 SQFT & total water volume of 13,500 gallons. You’ll have plenty of room to stretch out in it’s total length of 34′ 1″. Venturing into this unique pool shape, you’ll notice the modern layout of the blended pool shapes. Its bowed walls are a unique combination of a standard rectangle shape with an oval finish. These bowed walls create a wider space for swimmers to play and float on rafts. 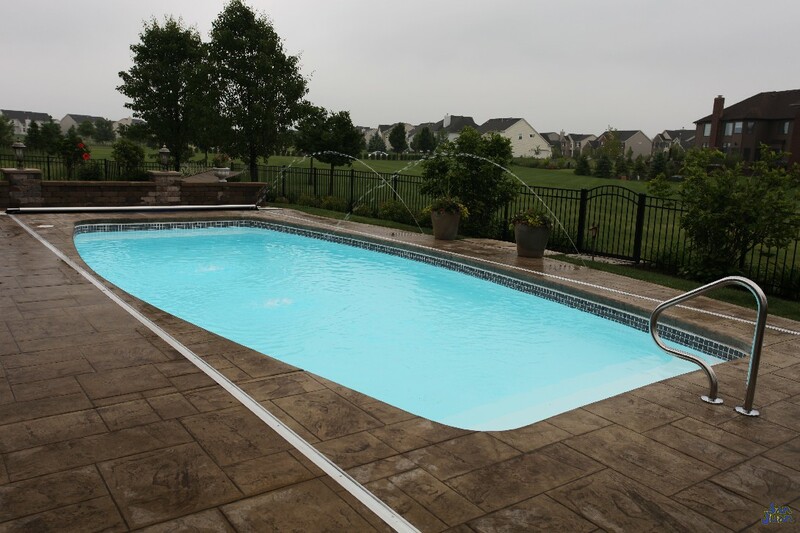 However, you choose to utilize the Majestic, you’ll selecting a great fiberglass pool that is both spacious and popular for the ages. 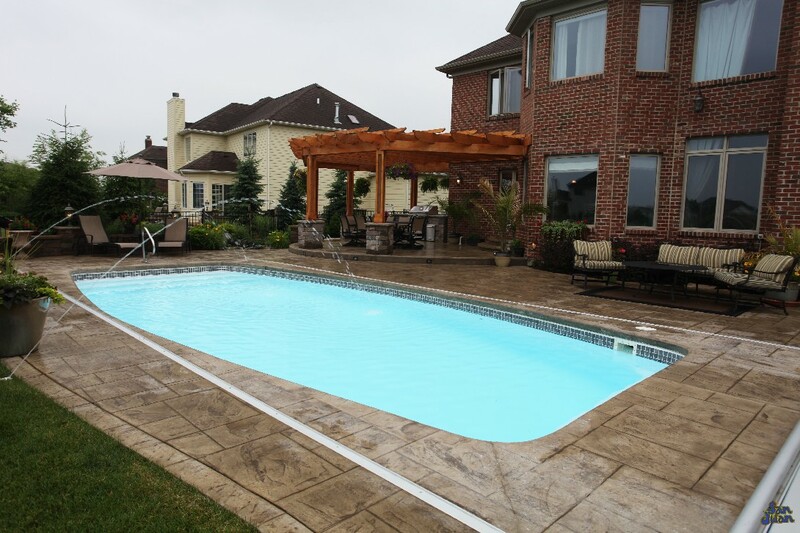 We have sold this pool shape for many years and have received many positive reviews from our clients!